Love the color variety I was able to choose from when placing my order. Great eco-friendly company to do business with. Thanks again. My clients are loving their bags. I wish I had found Custom Earth Promos earlier. Loved the color selection and friendly customer service. I am fairly new to advertising with promotional products, and can say I will be a repeat customer of Custom Earth Promos! Thank you! I'm pleased with how my order came out. I loved how I was able to choose between so many different color patterns and designs. Custom Earth Promos is the best in the industry. Very durable bag that I was able to customize for my business. Not a doubt in my mind that I'll be placing another order. We recently ordered numerous bags for promotional reasons. Not only were we thrilled, but our customers were as well. We will be ordering more in the future without a doubt. I never feel like writing ratings, but this company deserves it! Loved the quality of this product and the all around easy ordering process. Melanie is awesome! My overall experience was fantastic. I would definitely recommend Custom Earth Promos. I could not be more satisfied with the bags I recieved. I will definitely be referring my colleagues to Custom Earth Promos. Economically friendly & environmentally friendly! Such a great product! We have no words to express our level of satisfaction. Really above and beyond in every department! Wow!!! Great company! The order was delivered faster than we expected, and the imprint came out great! The staff at Custom Earth Promos went above and beyond. We will definitely be ordering again. Great attention to detail. Quickest order ever! I will certainly be a repeat customer. Great quality and service! The condition of the bags were fantastic. Still using these bags long after our companies convention. Would highly recommend to any company looking for great value. Incredible quality! Couldn't be happier with how the order came out. Would definitely recommend to others. The color came out great on these bags! We chose yellow with our company logo. Really makes the logo stand out! We couldn't be happier with this service! We will be ordering again and recommending to others! Our company is extremely satisfied with Custom Earth Promos! We ordered from them for our convention, and everything went great! Highly recommended! Beyond thrilled with the outcome of the bags I ordered. I would definitely recommend Custom Earth Promos to anyone looking for exceptional quality & service! We ordered bags for a convention and were extremely pleased with the quality. We will definitely be ordering again! 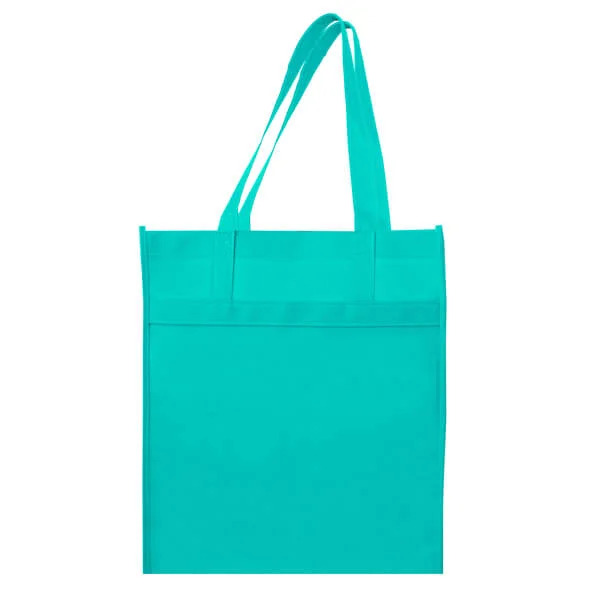 Look no further for the perfect promotional bag! I will definitely be ordering again soon. These were the perfect bags for our tradeshow. The ordering process was easy. I highly recommend working with this company. Not only are these bags durable, they are wonderfully designed as well! My clients use them on a daily basis. Thanks CEP! WOW! Could not be more pleased with the outcome of my bags! I couldn't find lower prices on similar bags, which was the biggest reason why I went with CEP. I never expected the level of professionalism and attention to detail they offer! Keep doing what you're doing- I'll be a repeat customer for sure. Extremely happy with the customer service at Custom Earth Promos! Made the whole experience easy, and my clients love the bags! All I have to say is wow- I was blown away by the work the graphic designer did with me on my logo. I wish I would have started to work with CEP sooner. Would give more than 5 stars if I could. Custom Earth Promos was recommended to me by a business associate who raved about them. I can honestly say I was just as impressed. Every aspect from the time they spent with me making sure my logo looked perfect on the bag to the actual delivery was flawless. Very impressed and will definitely be a company I continue doing business with! I love the size of the PP1. Its perfect for so many occasions. Prompt delivery, excellent customer service. What else can you ask for? I loved the idea of giving out eco friendly bags at my big event. These did not disappoint. I had a hard time giving these out as my wife wanted to keep them for grocery shopping lol. Once I pried them away from her my clients were thrilled with them. I loved that they sent me a sample prior to ordering so I could feel the bag out and make sure it was what I wanted. Really impressed. This was my second order with CEP and I was concerned that ordering 500 bags I wouldn't get the same quality I had with 100, but I was just as impressed, as were my clients. I had a really large and complicated order. They were there with me every step of the way, I could not have pulled this off without them. I accidentally ordered a few too many so I've been using the extras for grocery shopping. I can see why my clients were so thrilled. I was a little skeptical placing such a large order with a company I hadn't worked with before, but boy am I glad I did! I usually get so frustrated with ordering promotional products but I cant imagine the process having been any smoother. Finally, a durable, eco-friendly reusable bag designed for your advertising budget! 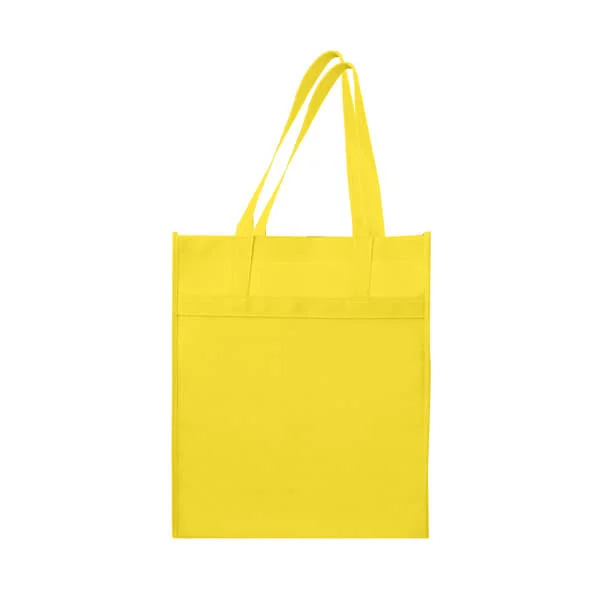 This wholesale bag's vibrant colors will make your logo pop, while sending your customers the message that you care about the environment. 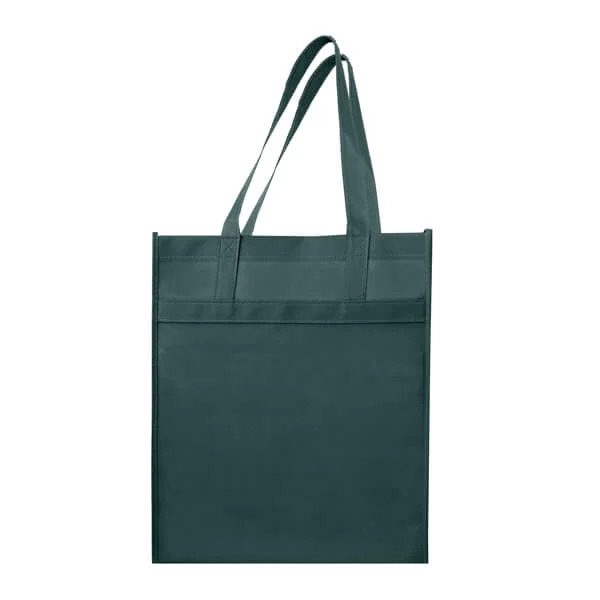 This eco-friendly bag is spacious and durable enough for heavy-duty grocery shopping, but portable and lightweight enough to carry with you on-the-go. 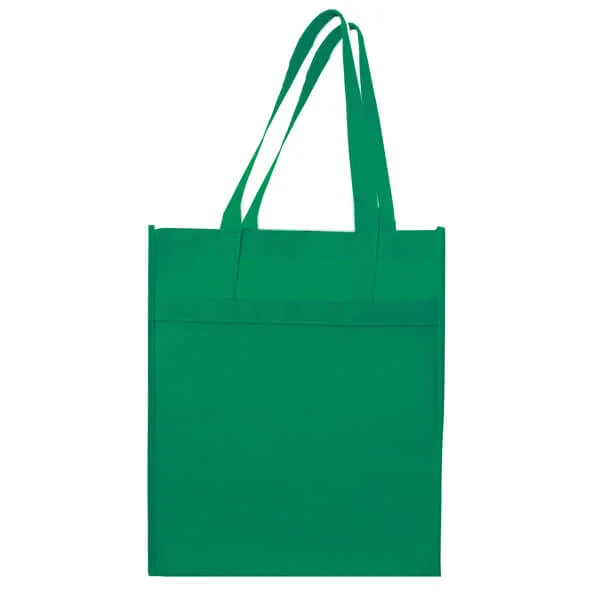 Let us help you design 100% recyclable, reusable promotional bags that will help you market your business! 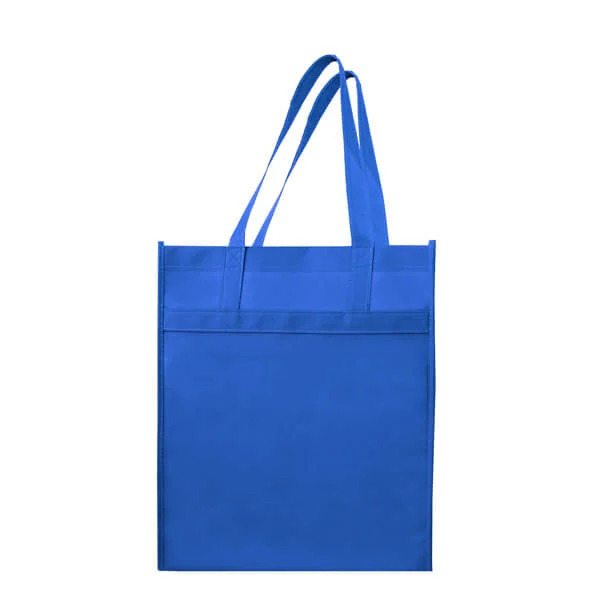 These extra large, eco-friendly bags are available in 14 eye-catching colors, or match your bag to the exact PMS color you desire by ordering direct overseas. 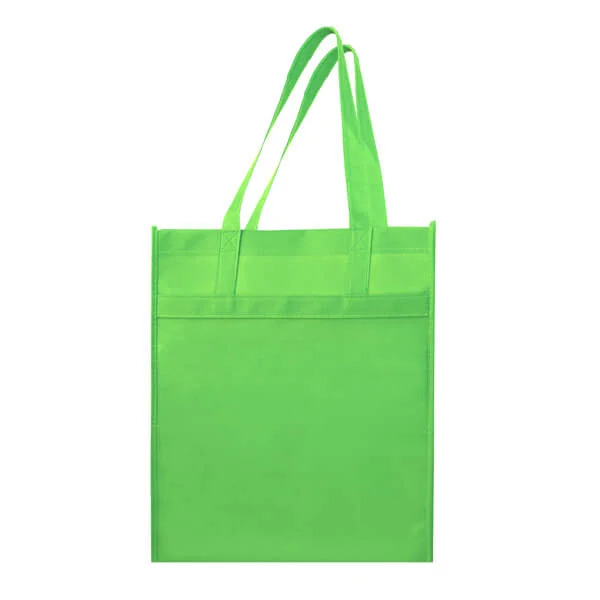 The 8" wide x 8" high imprint area on these reusable grocery bags will show your message loud and clear while your customers are shopping around town. Our custom recyclable bags include over 20 standard imprint colors, or we can PMS match your logo color for a small fee! 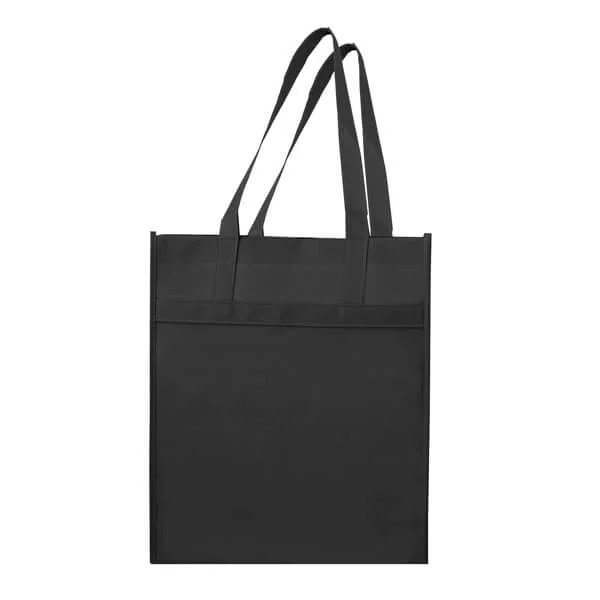 The main highlight of this bag is its lightweight but durable design. It is constructed from soft-textured 100 GSM non-woven polypropylene, with reinforced handles stitched down the entire length of the front and back sides for extra stability, plus a rigid and washable bottom insert for easy loading at the checkout lane. 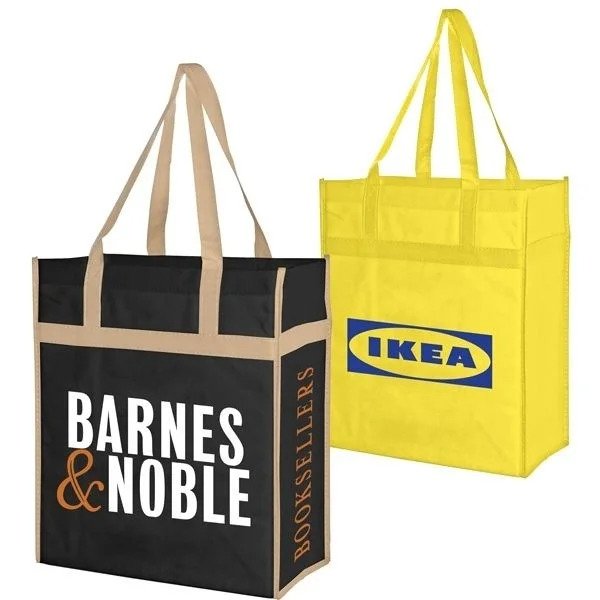 Custom Earth Promos is a factory direct supplier of custom reusable bags, which is why our prices are so low - ask us about our price match guarantee today! If you have a little extra time, we'll make it worth the wait! 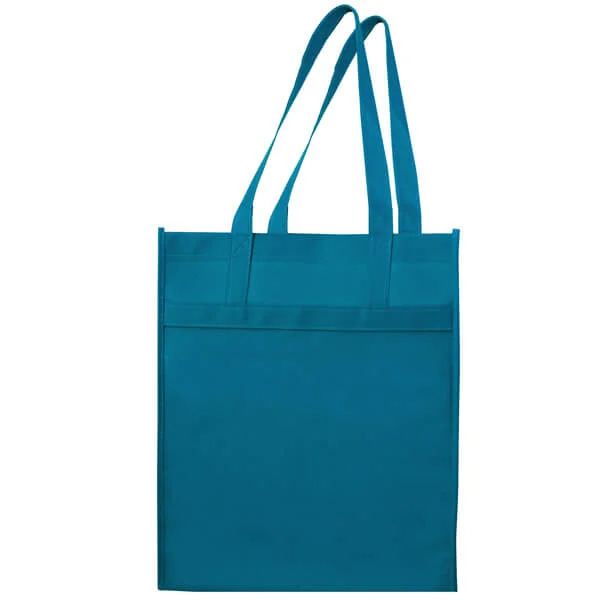 In as little as 8-12 weeks we can deliver you high-quality, wholesale reusable bags that are sewn according to your exact specifications. By utilizing our direct overseas factory, your bags are made to order and include FREE custom accent trim and handle colors. The possibilities are endless; we can add zippers, pockets, pen loops, grommets, buckles, snaps, and so much more! If you have an idea, we can make it come to life! Let our team of expert graphic designers lend a hand and help you create eco-friendly reusable bags your customers will be proud to carry.